The growing importance of the Internet in the life of the younger generation requires special skills in the critical evaluation of the sources and messages presented in the online world. Blogs, videos, and podcasts can provide much interesting researches on health problems, and adolescent drinking is one of them. In his article, Ostenson (2014) even proposes a number of specific tools to teach students to “addresses a changing Internet” properly. Although the information in such resources is not always properly referenced, peer-reviewed, and can be biased, it often focuses on the proper problems. It can be regarded as more effective in appealing to the young generation than the boring scholarly journals with the abundance of numerals, calculations, and schemes. Therefore, the blogs, podcasts, and various videos can be used to attract attention, get a general knowledge, and become acquainted with the problem as well as the views of the younger generation on it. However, such materials generate mostly the superficial representation of the issue; their applicability can be analyzed on the basis of such factors as the author’s experience or degree, proper referencing, reliable statistics, and place (site) of the multimedia representation. Consequently, in case of the scholarly research, they need additional evidences and support from the credible sources. Among the online videos that deal with the adolescent drinking problem, Under Construction: Alcohol and Teenage Brain that has become the finalist in the international ATOM awards deserves special attention. The award is the first factor that hints at the credibility of the information presented in the movie. The latter tells about adolescence as a transition from childhood to adulthood. The major social, physical, emotional, intellectual changes happen in the age starting approximately at 12 and finishing at 25. The processes in the brain should be marked out as the crucial changes that occur with a person in adolescence and shape his or her personality and all the further life in general for “the developing brain is a loading machine” (String Theory Creative, 2012). This idea is the focus of the producer, who further reveals how damaging the effect of the alcohol is to the adolescent brain. Though intoxication is harmful at any age and impacts human feelings, emotions, physical state, balance, memory, etc., the worst consequence for the adolescents is that the harm it has on the young developing brain can become permanent instead of the short-term one. The movie is filled with the bright images, but also explains some difficult terms like myelination, frontal lobes, temporal lobes, cerebellum, hypothalamus, and brain stem. However, the speaker describes all complicated processes in a simple language. At the same time, the end of the movie represents the writers and the producer; it references to the Eastern Health, Turning Point Alcohol & Drug Center and support of the State Government Victoria that can be regarded as the proofs of the information viability. In addition, the placement of this movie on the Turning Point education sites makes sure that the information has received at least the basic professionals’ review and represents the valid information. The mind and body of people should function properly in order to live happily without causing any discomfort for self and others. However, for the younger individuals, the proper environment and example of the behavior are very important. Such factors influence their decisions including drinking or drug abuse. A number of scholarly psychological journal have represented such factors as having serious impact on the children’s behavior. The podcast “On Alcohol and Young People” provides the interview with the director of the drug foundation Geoff Munro. With regard to the job of this man, one can make a conclusion that his experience of working with the target audience as well as the background knowledge on the issue make his considerations credible. According to the interview, one of the main reasons of drinking is that alcohol is usually accepted as the symbol of entertainment, amusement, and social life. Moreover, it is “a badge of adulthood” (Munro, 2011). The strong influence of media, TV, and advertisement is also important as it contributes to the family example of drinking alcohol and feeling relaxed. The statistics presented by Munro is credible and shows that not less than 85% of juniors drink or at least tried alcohol. However, no proper reference of the survey is given that pushes one check the numbers in case of referring to the podcast in the scientific paper. Among the long-term and short-term impacts of the alcohol mentioned in the interview, one should mark out the following: alcohol is the central nervous system depressant, it slows down the brain processes, it puts people to a series of health risks, and it affects all organs of people. As a result, alcohol intoxication leads to the injuries or serious diseases on the physical level, emotional breakdowns, and even suicides. 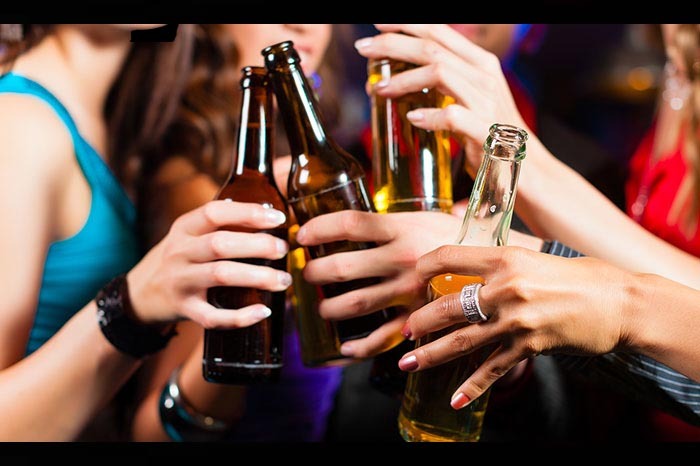 Among the recommendations to young people, Munro emphasized that teenagers under 15 should avoid drinking at all, 15-17 year-old adolescents should keep off alcohol if possible or minimize its consumption. “Being not yet emotionally and physically mature” makes adolescents particularly exposed to all possible long-term and short-term consequences of alcohol intoxication. Marking out the brain functioning as one of the main spheres of the negative impact on teenagers, Munro presents the logical arguments that intermingle with the evidences provided in the above mentioned movie Under Construction: Alcohol and Teenage Brain. To sum it up, the postcard can be considered as credible for the experience and education of the interviewed person, its placement at the Drug Info site supported by the State Government Department of Health. However, the statistical data that was not properly referenced cannot be considered as accurate. The first thing that should be distinguished when analyzing Jon Law’s Blog is the personality of Jon Law himself, who is the chief officer in the public health sector. With regard to his experience, one can make a conclusion that the author is not an amateur internet user, who has just posted his opinion on the issue, but a man, whose work is closely connected with this problem. As a result, Law refers to the alcohol parties as the places that contribute to the underage drinking and intoxication. “The drug of choice of the youth” is how the author entitled the alcohol in his article. Among the most striking facts, one can see that many teenagers can start drinking even before 13 years. Although adolescents drink more rarely than adults, they drink more heavily. Law does not support his statements with any scholarly results like Miranda et al., who, in their peer-reviewed article, presented the scientific evidences of “liability for future drinking”. Law also presents the statistics that about 10 percent of 12-20 year-old Americans are considered to meet the alcohol use disorder and received alcohol problem treatment. Among the consequences of the alcohol abuse at the parties, the author markers out injuries or deaths, vehicle crashes, risky sexual behavior causing assaults, and the possibility to become a heavy drinker later in adult life. Finally, the article is finished with the call to struggle the problem, enquire with a health foundation, and promote some recommendations to children. Although the article represents some statistics, it is not properly referenced. This blog is quite informative and provides some further recommendations and references, but it cannot be regarded as a scholarly reference. Instead, it is more likely to be used to get to know the information, find out the problem and some hints on its solution. The Internet has really become an inherent sphere of the society that reveals its problems, helps acquire knowledge on their origin, consequences and ways to fight them. The blogs, movies, podcasts, and many articles can be quite interesting and informative for people. However, the credibility of the information in the books and peer reviewed scientific journals is much more appropriate for the deeper researches and analyses. Although the author’s qualification, referencing, site reputation, and orientation matters, such internet sources usually need additional review and check of the data.